Choosing laser eye surgery is a big decision. Whatever your treatment goal, proper preparation before surgery will help you obtain optimal results, speed up recovery, and minimize potential risks. If you've done your homework, then this advanced procedure can lead to a quick and healthy recovery. Here's a guide to how to prepare for your laser eye surgery. When it is determined that you are a good candidate for eye laser treatment, ask how you should prepare for the appointment. Your optometrist and the laser treatment clinic can offer valuable suggestions to help you obtain the best results. For instance, most optometry and laser surgery clinics ask that you refrain from wearing contact lenses for a few weeks because they can change the shape of your cornea, making it harder to accurately measure and evaluate your eyes and eyesight. You may also want to bring a list of your current and past eyeglass or contact lens prescriptions, your overall health history including conditions such as diabetes, and any questions you have about the surgery or recovery. Sunglasses are recommended as your eyes may feel light sensitive after the evaluation tests. Wear glasses rather than contact lenses for a few weeks. Makeup and lotions, especially those in the eye area, should be avoided for the days leading up to the surgery. Similarly, haircuts and hair treatments should be avoided as well. Since the procedure uses a local anesthetic, there are few restrictions on what you may eat or drink before the surgery. The exception is alcohol, which should be avoided for 48 hours in advance to prevent the eyes from becoming dehydrated. Arrange for someone to drive you to and from the clinic; you will not be able to drive or take public transportation. Don't use any hairspray, perfume or cologne; these may contain alcohol. Avoid wearing wool clothing; the lint can enter the eyes and cause infection. Take a shower before your surgery, since showering over the next days may be inconvenient. With careful preparation, you can exert control over the outcome of your laser eye treatment. 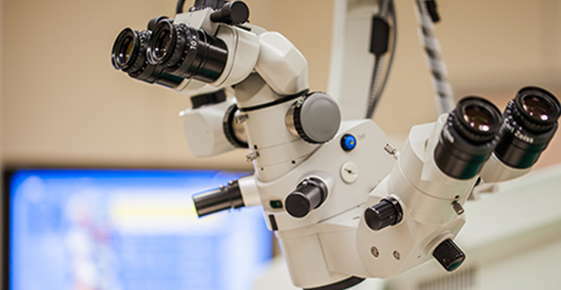 A few inconveniences before the procedure will pave the way for a lifetime of clear vision without the hassles of corrective lenses or other aids. Laser Surgery Eyes (2012). Preparing for Laser Eye Surgery. Eye Health Web (2013). LASIK & Laser Eye Surgery.